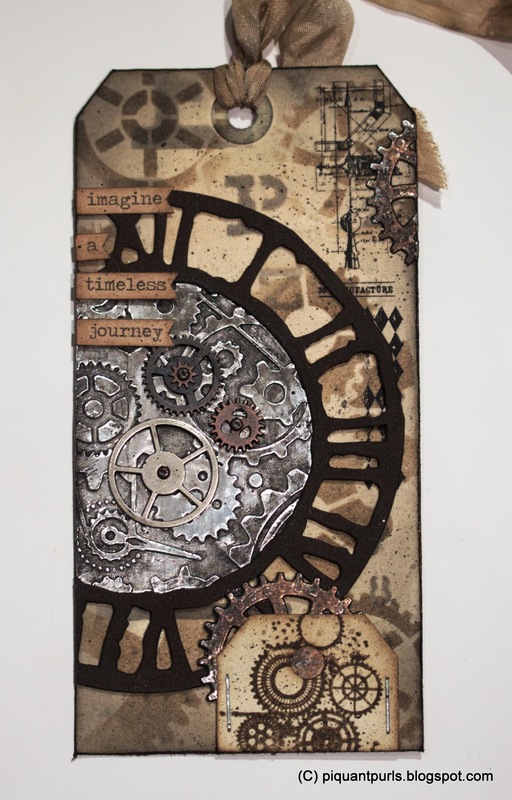 Tim Holtz is back with another 12 tags of - challenge for 2014, and I gotta say, this first one is my absolute favorite so far! 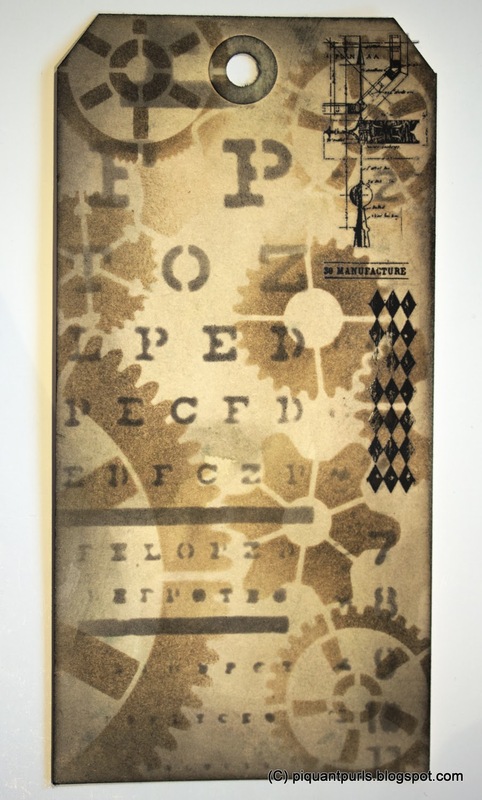 For the base coat there was Pumice Stone stain, and then Frayed Burlap through a StencilGirl Gears -stencil and Black Sooth through Tim's own Eye Chart -stencil. I used the Remnants-rubons, as those were what I had available. 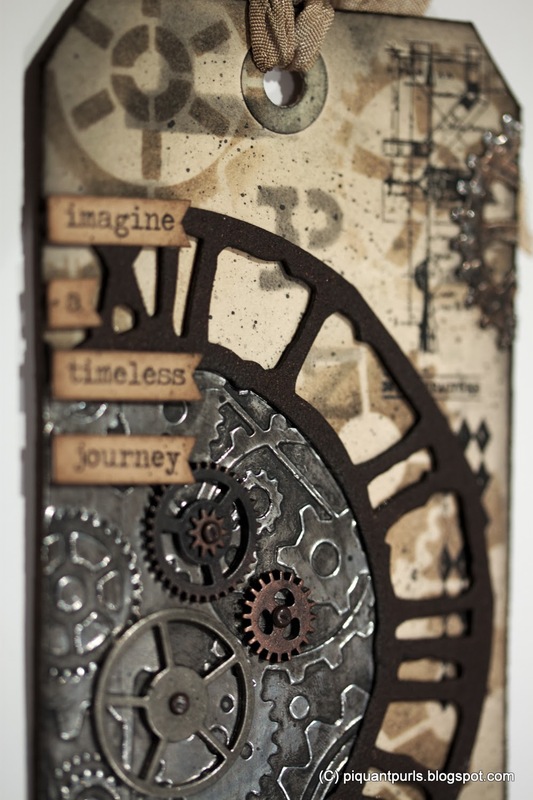 For the diecut I used the Weathered Clock-die and Cuttlebug Clockworks -embossing folder. 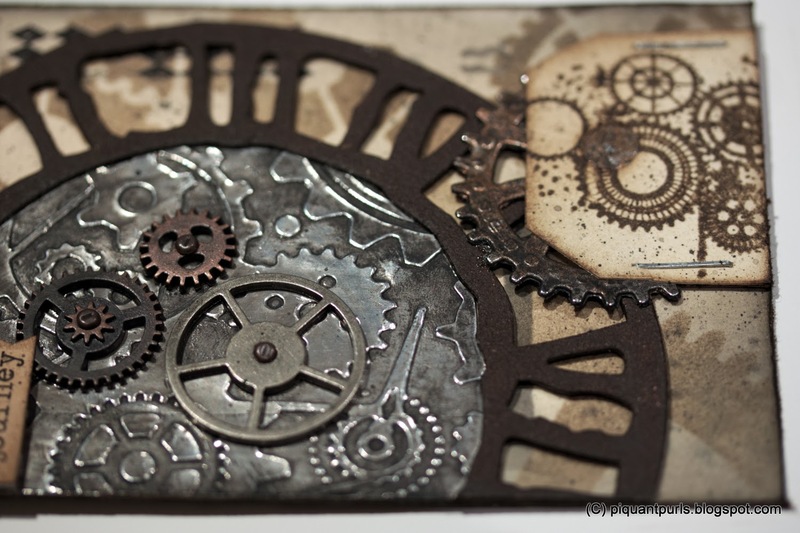 I cut some additional gears with Spellbinders Sprightly Sprockets dies and the little tag with Tim's Tiny Tabs and Tags. Different sized gears and Chit Chat -stickers, which I had to lift up with some foam squares as the clock didn't give me a good back to stick them on.